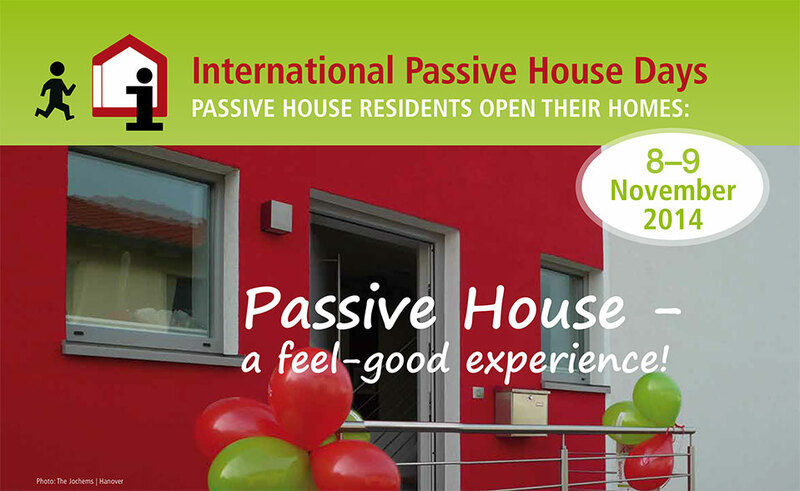 Visit us for International Passive House Days 2014! The Cottonwood Passive House will be participating in the 11th annual International Passive House Days on Saturday & Sunday, November 8-9, 2014! Visit us at 17 Cottonwood Crescent, Fort Saskatchewan (map) – we’ll be having an open house from 1-5pm each day. Look for owners Jim and Emilie Zeibin, who will be on site to talk about the house and its construction. If you think you might attend, please RSVP to info@cottowoodpassivehouse.ca so we can get a sense of numbers. And if you’d like to spread the word, see our Media section for the press release, hi-res photos, and social media sharables! Here’s a link to our event in the International Passive House Database, which lists all the Passive House projects opening their doors to the public worldwide. If you’re not near Fort Saskatchewan/Edmonton, there still might be opportunities near you to check out a Passive House!